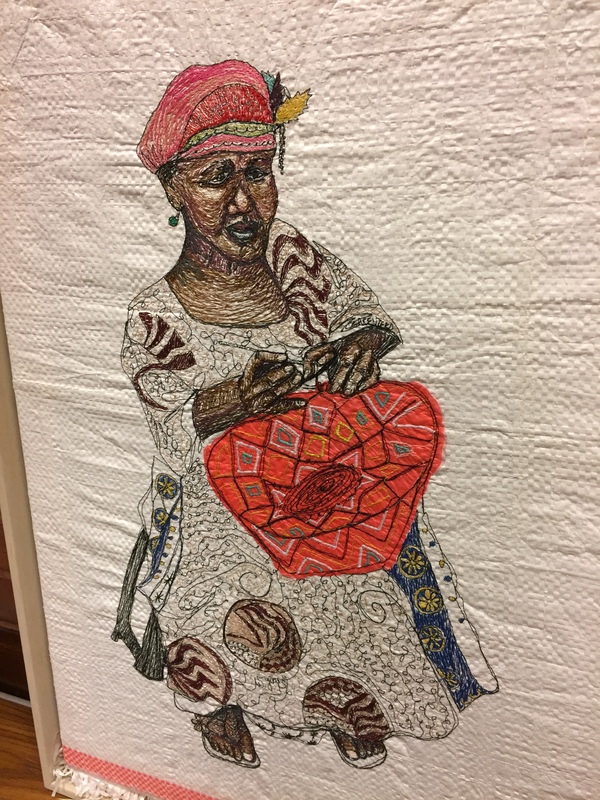 InStitchYou – Travelling with a Sewing Machine- Adventures with a sewing machine, Stitching portraits and landscapes from life. 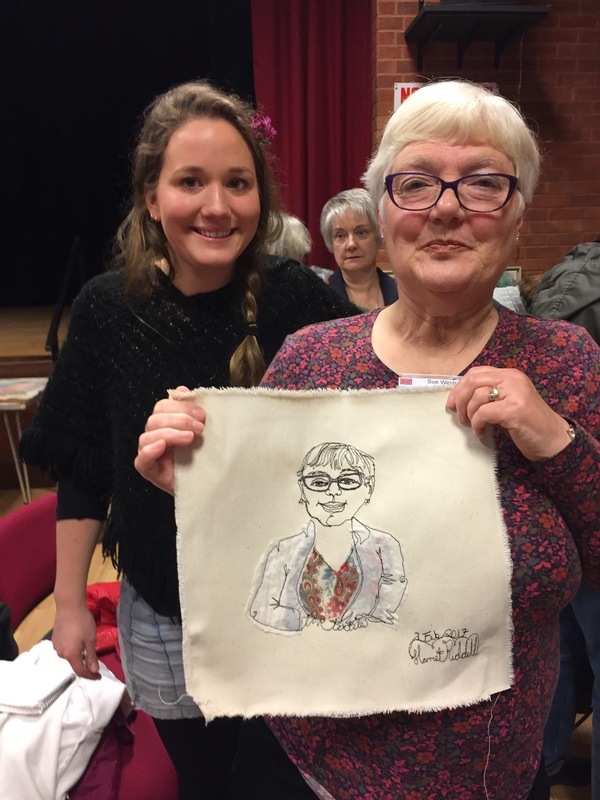 Harriet made the portrait of our chairwoman by stitching freehand on her machine in less than 20 minutes! Harriet has found a unique way of communicating with people through art. She finds she is always surrounded by crowds of people who comment on the way she works. They want to be involved in what she is doing and it helps them see the world in a different way, seeing art happen in front of their eyes, they are a part of the process. This approach to drawing is a performance of public interaction. The role of ‘artist’ gives Harriet purpose and acceptance allowing her to travel and learn of the culture, politics and people around the globe. As a direct consequence, it follows that their perceptions, expectations, and physical participation are subtly intertwined in the resulting sketch. 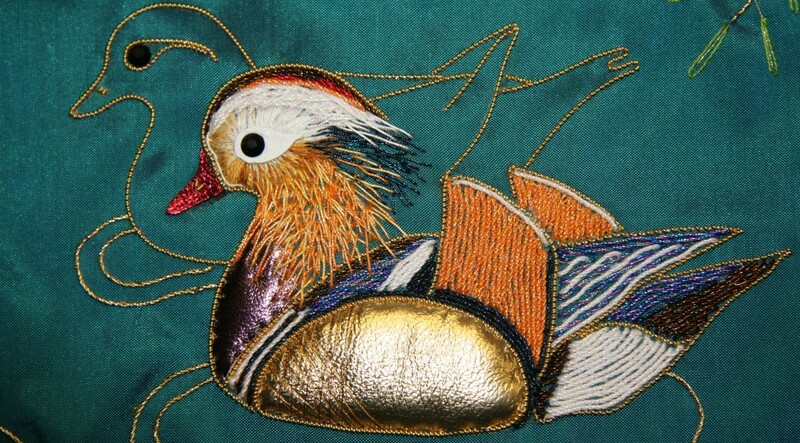 She often sets up ‘the stitch’ in challenging places – stitching in Nairobi’s slums, on top of Himalayan mountains, upon a float moving through a religious parade and in South London pubs. This performance together with having an audience, directly feeds life into her stitched line and final piece.